They do say that the older you get the worse your short term memory becomes but the recollection of your childhood improves. Well I can't say I am old enough for that yet but today I was reminded of something from my childhood, something I haven't thought about for a very long time. It was a real blast from the past I can tell you and took me totally by surprise. 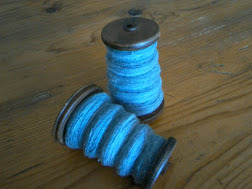 I was browsing though some of the blogs that I follow and had just read Wildroots Homestead followed by New Start, New Life in Bulgaria and suddenly I was struck by a similarity to stories that I enjoyed reading as a child. 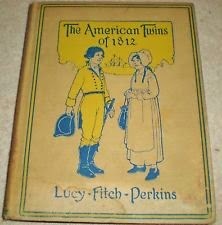 Not that either of these blogs are aimed at children but the enjoyment I get from reading about other people's lives in faraway places was the same as the fun I got from reading The Twins series of books by Lucy Fitch Perkins when I was a child. Both the books and the blogs are like eavesdropping into someone else's life, peeping through a curtain and there would be revealed.... strange customs, different traditions, exotic food and colourful clothes. And I always ask myself... what would it be like to live there? What would it be like to be them? 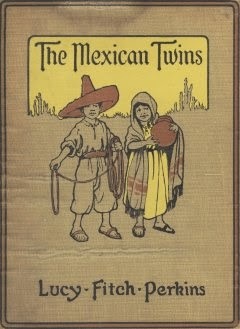 Each of The Twins books followed the adventures of twins living in a different country. It was a perfect introduction to geography and the customs and cultures of different lands. I remain fascinated to this day by all the different ways human beings live. The challenges they face, the difficulties, the joys and the celebrations. These books really made a huge impression on me because I can still remember some of the illustrations and bits of the stories even after nearly 50 years. 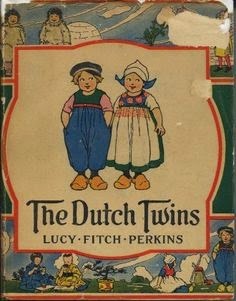 For example the Dutch Twins slept in a cupboard in the wall, you opened the door and there was a bed! I dreamed of sleeping in a cupboard 'bed' for many years after that... what would it be like? I didn't own these books - I wish I had, I had very few books of my own, books were expensive and I actually only owned about 7 or 8 in total, most of these were second hand. In order to satiate my appetite for books we used to go to the public library and I would take out a new book every week. There are 26 books in the series and I am not sure that I managed to read them all. I have a feeling that the library didn't actually have the whole series because I only remember the geography based ones and now I have found out that she wrote historical ones too. 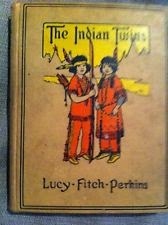 Nine of these delightful books are available on the Gutenberg Project children's shelf. The Gutenberg Project provides 'out of copyright' books online for free. Its a great place to start if you want to re-read all those classics that you skimmed through at school (without any understanding or appreciation at the time). 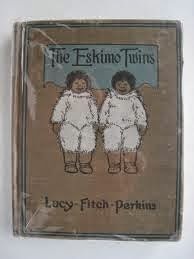 What really surprised me though was that The Twins series of books were published between 1911 and 1938. They were already quite old fashioned when I read them in the 1960's yet I never noticed. I am looking forward to re-reading and rediscovering the magic of these delightful tales again. What has struck me on just looking at the covers of the books is that they are not going to be pc (Politically Correct). Is that a problem? I don't think so, but they might not appeal to children of today. And look at the traditional costumes that the children are wearing. These kinds of 'ethnic' costumes are mostly only brought out for festivals, carnivals and special occasions these days. Did children in the past actually wear their national costume? I suppose they must have. The world has become so much smaller. Nowadays I am sure children in Mexico look almost identical to children from Holland. Have we lost something? Maybe it wasn't important... I don't know... What do you think? Wow, I can't tell you what a good feeling it is for my humble blog to be spoken (written) of in the same paragraph as those lovely books from your memories..I try to keep it light and simple as not all readers are English speaking. Thank you.